If you love listening to music, you should stop using cheap headphones or earphones. Instead, you need to only choose good quality headphones to ensure that you take your music-listening experience to a whole new level. It will surely maximize your enjoyment wherever you may go. Headphones and earbuds are the two main types available. If you are the type of person who wants something that is easy to carry but can still provide you with a way to listen to music, then having earbuds are ideal for you. This is the best choice for most people because they can always put it in a small bag or pouch without it taking too much space. Another notable thing about it is that it doesn’t cost that much which surely makes it great for anyone who is on a tight budget. But if you want to look fashionable whenever you listen to your music, then headphones are perfect. The best quality headphones are made with sturdier and thicker cords or you can always choose an option that is wireless/Bluetooth. But carrying it can take up some space and may also come at a higher price. In any case, they can be such an enjoyment to use because it almost isolates the surrounding sound, thus making you have all ears to your playlist. 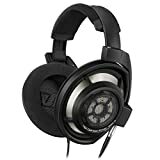 If you’re looking for a good pair of headphones that is made using only the finest materials and constructed with better engineering, you need to prepare to pay for a higher price. They are worth the investment because they can surely produce your music in fantastic quality. Another notable thing about expensive models is that they are durable enough to last for several years. Just remember that you aren’t just paying for the brand but for the quality that you trust. Listening to music is made much sweeter, especially if the outside noise can barely interrupt with it. You will surely experience true entertainment if you can listen to your music at full blast. If the headphone has this feature, not only will it benefit you from drowning out the background noise, it will also save you precious battery life since there’s no need to go on full blast with the volume. 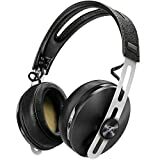 If the headphones can provide a wider frequency, you will be able to hear more from the music. Frequencies that range from 10Hz to 25,000Hz are highly recommended. A consumer who buys a gadget and doesn’t test it out first is not a smart consumer. The only way to find out if they really suit your taste is if you give it a try using your mp3 player. Another thing that you should also consider during your purchase is the 30-day return policy and the warranty. All gadgets should have this, especially if it starts to incur some problems just days or weeks after the purchase wherein you have nothing to do with it. Always remember these five easy steps every time you plan on buying a new set of headphones. You are paying to live in the experience so you just need to be sure that what you are paying for is indeed worth it.